Eorzea’s world looks to be completely open. Ranging between the PC and Mac lovers, to your PS3 and PS4 players. However, it looks like it’s missing another key platform, the Xbox 360 and Xbox One. Why Not The Xbox Consoles? 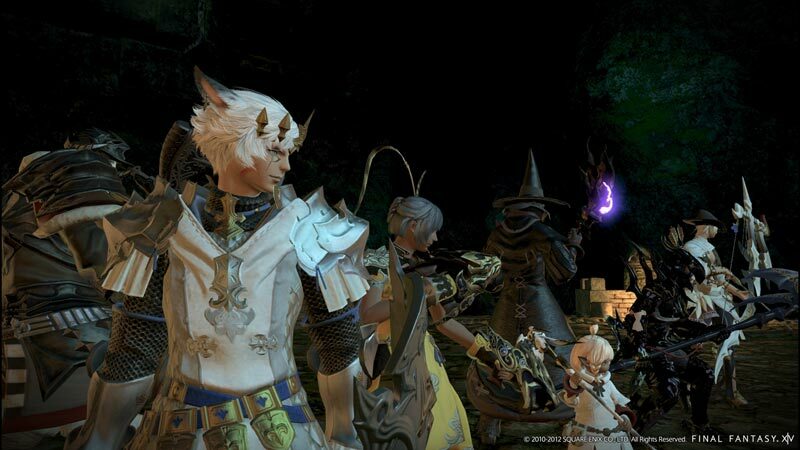 With the thoughts of a divided user base on the table, an MMO game that is split up isn’t really an MMO. Instead of the eight characters that you would see in the picture below (normal), you would probably end up being in a party that is half of that! After a few other questions, Naoki Yoshia proceeded with a follow-up statement. What are your thoughts, do you support it should come to the Xbox consoles for the cross platform capabilities, or do you agree to have your own servers? Let us know your thoughts in the comments below!